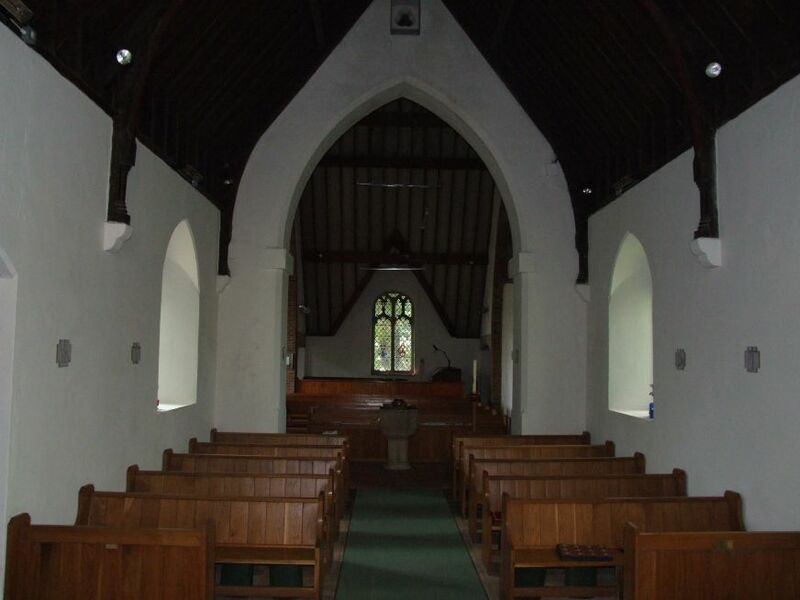 Of all Norfolk's parish churches, Holy Trinity must be among the least known, and the least visited. 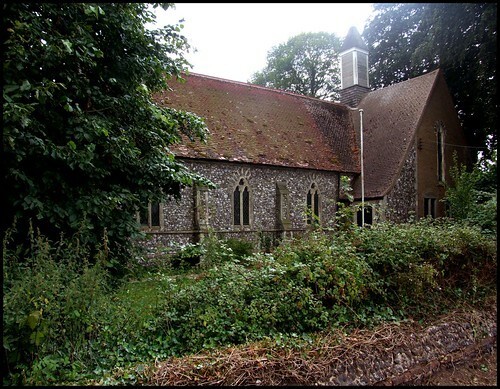 And yet, there is a reason why this is an important place for anyone interested in Norfolk's lost churches. We will come to this in a moment. But first we have to find Hempton. It is the undistinguished southern suburb of Fakenham, little more than a triangle of streets where the roads head out of town and off to Swaffham and Dereham. The church is visible from neither road, and indeed is not on a road at all. We eventually found it by heading down a side road which appeared to lead nowhere, and then driving along a bumpy track beside a scrubby recreation area. There, behind a low wall, we found what appeared to be a 19th century church, although there is rather more to it than that. The high pitched western end is set perpendicular to it, as if another church had been built on to it sideways. The bell turret is unusually tall and slender. Curiously, the newer bit incorporates masonry which is far older. 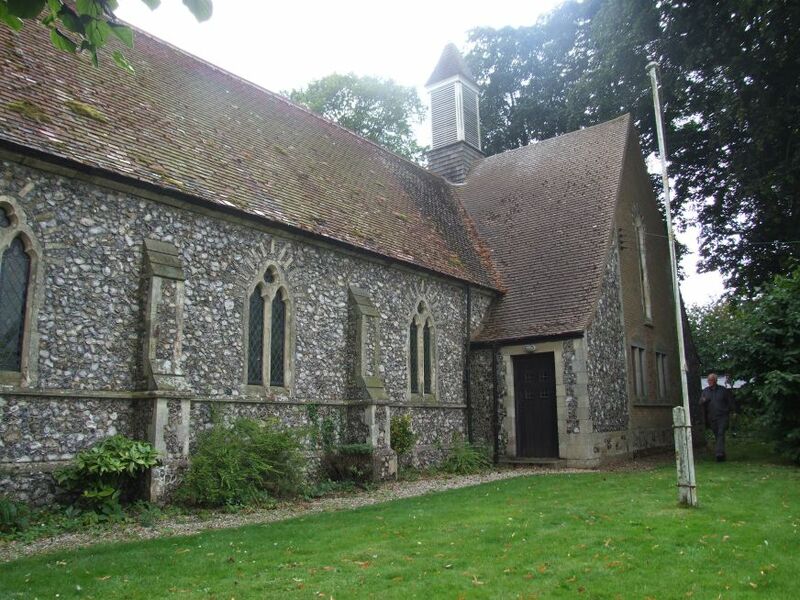 Pevsner records that Hempton had two churches in medieval days, but Holy Trinity is neither of them. The Victorian bit is the work of JH Hakewill in the 1850s. More imaginative is JP Chaplin's westward extension of the early 1950s. 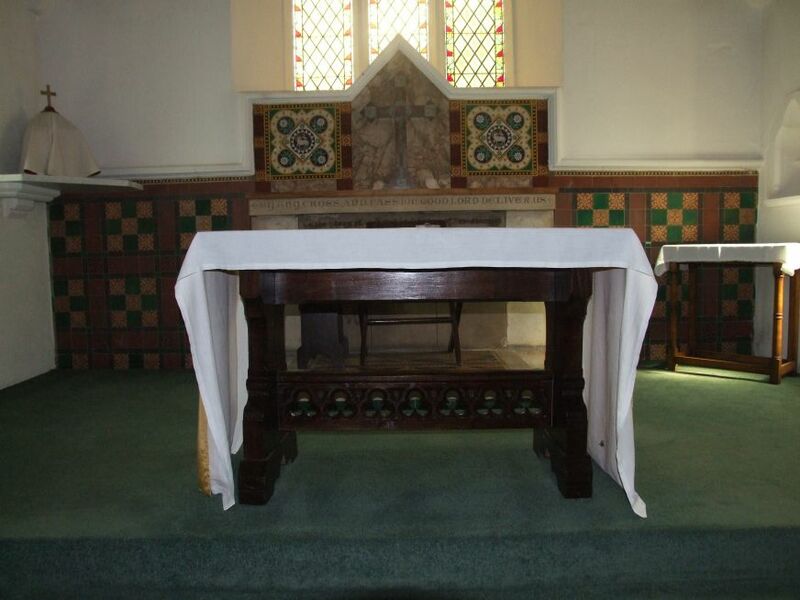 As with many churches around here, Holy Trinity is in the devotional, Anglo-catholic tradition. You enter through a side door on the south side, which takes you through the join between the two halves of the building. The 19th century nave and chancel are all in one; they are low key and relatively undistinguished, apart from the reredos, which is an ornate, tiled affair. 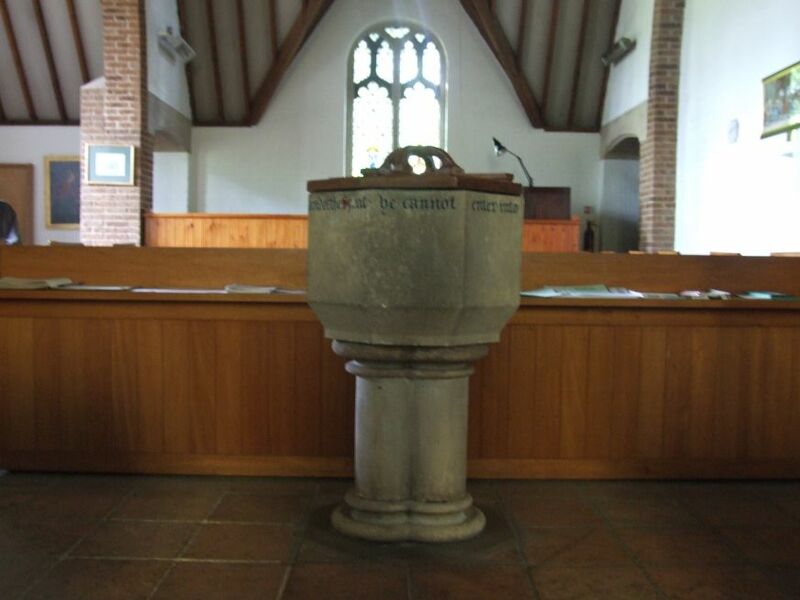 Where the altar used to stand against it there is a curiosity, an inscription which originally would have been hidden. 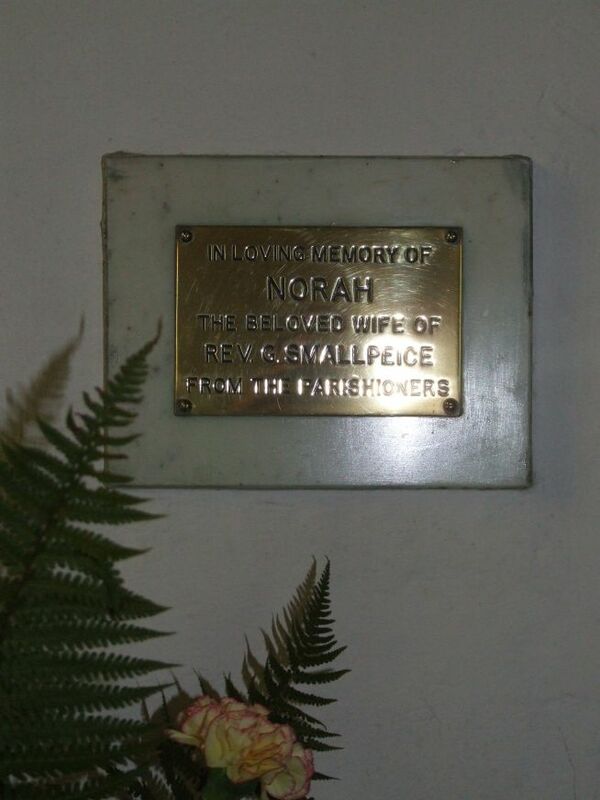 It remembers parishioners who fell asleep in the Faith and Love of the Holy Catholic Church, by which these 19th century Anglo-catholics meant the Church of England, of course - a fascinating historical survival. The reredos must have been installed a long time after Hakewill's building, perhaps in the early 20th century, and the memorial stone will be contemporary with it. Even more fascinating is Chaplin's extension westwards. 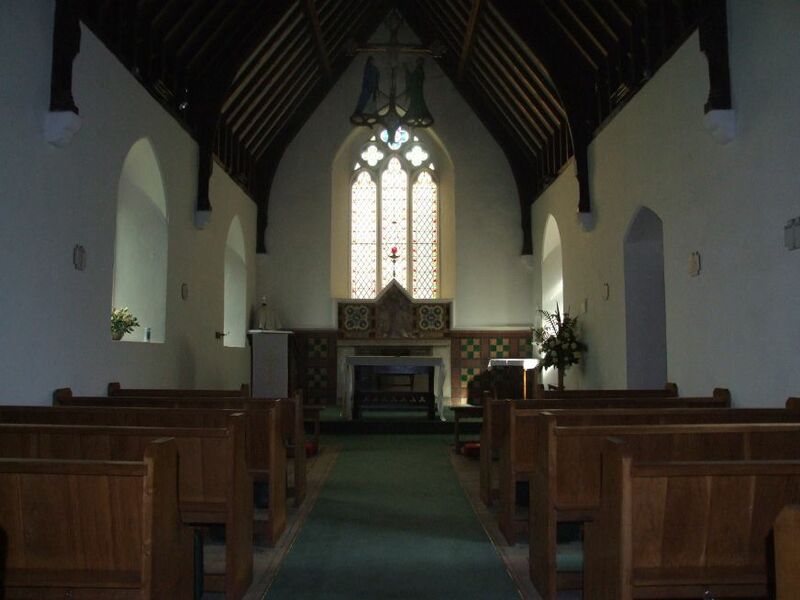 It is separated from the 19th century church by a tall, 14th century-style chancel arch. However, because the extension is sideways on, the arch is much closer to the back of the church than to the front. What makes it rather interesting is that the extension was built using masonry from the demolished church of St Michael at Thorn, in Norwich. This church was damaged in World War II, and being surplus to requirements was taken down to make way for the car park of the ECN building. The pinnacles of its tower are incorporated into the structure of a side altar here, along with tracery from the windows of the ruined church nearby at Pudding Norton. 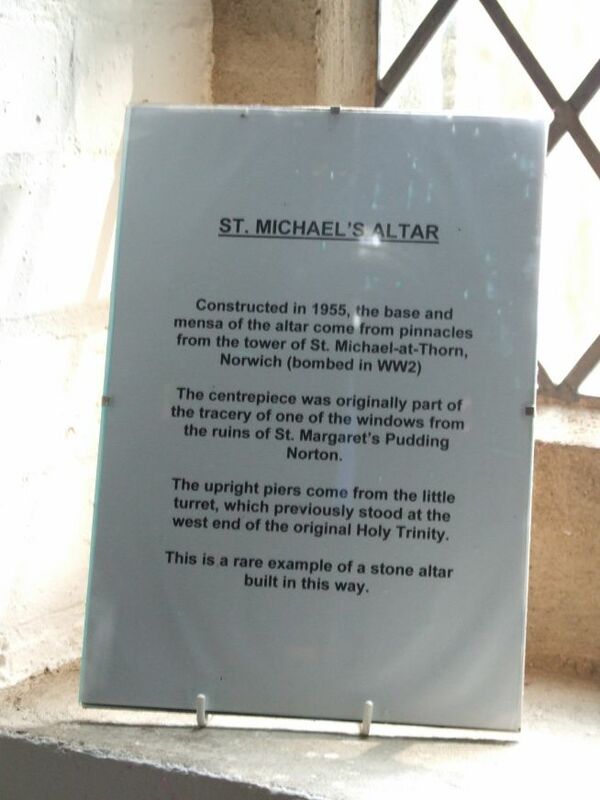 Outside, in the west wall, shadowed by bushes and almost hidden to the view of even those who make it this far, you can see the 15th century flushwork shields that once lined the tower base of St Michael at Thorn. Ghosts of a forgotten patronage, they faced out on to busy Ber Street in the centre of Norwich for more than half a millennium.